There is an unspoken rule in school that you do not talk when the principal is talking. Interpreting the principal may come with consequences which no-one is brave enough to find out. 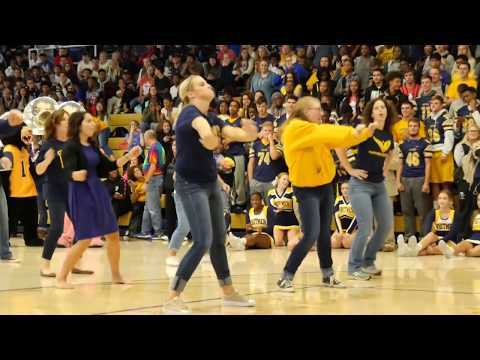 Students at Whitmer High School in Toledo, Ohio were shocked when teachers stormed onto the stage while the principal was talking. Everyone went silent in anticipation of what was going to happen next. What followed ended up turning into an epic event that no-one will ever forget.